Smoothies are a great way to get fruits and vegetables in your diet. Throw in some pomegranate, a few frozen berries, a banana and voila! You have your Antioxidant Smoothie. Keyword Everyday Health Drink – Antioxidant Smoothies! 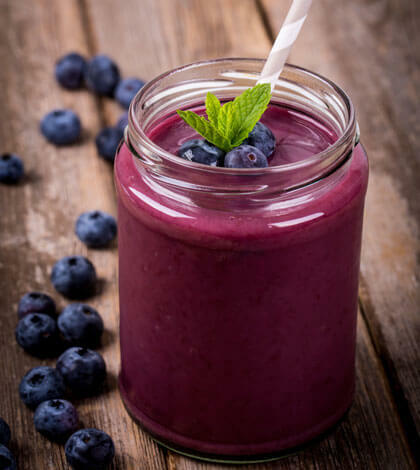 Combine berries, pomegranate, banana and 1 cup water/ice cubes in a blender; blend until smooth. Makeover: Instead of berries, you can add 1 cup strawberries or 1 guava or 1 orange. Also, see how to Make Your Own Omega-3 Shake!